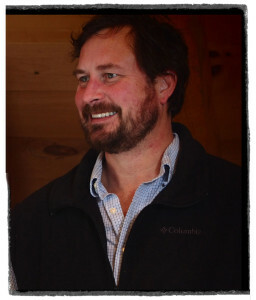 Ramsay Adams is Founder and the Executive Director of Catskill Mountainkeeper, an environmental advocacy organization dedicated to protecting the Catskill Region in New York State. Mr. Adams is also a film and television music supervisor, author, and educator. Prior to founding Catskill Mountainkeeper in 2006, Mr. Adams created and taught the “Music Supervision” course at New York University’s Center for Advanced Digital Applications and wrote the book “Music Supervision: The Complete Guide to Selecting Music for Movies, TV, Games, and New Media” (Schirmer). He co-founded MusicSupervisionCentral.com, a music supervision services company. Mr. Adams was the Music Director for a cable news channel for over 4 years and is the film music supervisor of many award winning films including “Jihad for Love”, “The Break Up Artist”, and “Heights.” Mr. Adams and his wife Ananda live in the Catskills with their two children. Wes Gillingham is a co-founder and the Program Director of Catskill Mountainkeeper, an environmental advocacy organization dedicated to protecting the Catskill Region in New York State. Wes serves on the New York Sate Forest Preserve Advisory Committee providing advice and guidance to the State Department of Environmental Conservation, which manages the 3.4 million acres of the State Forest Preserve. 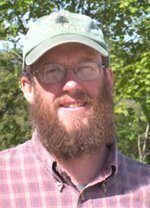 He is on the board of Directors for the Sullivan County Farm Bureau and the legislative policy committee for The Northeast Organic Farming Association of New York (NOFA-NY). From 1997 to 2007 Wes with his wife Amy ran a 150 member Community Supported Agriculture (CSA) vegetable operation in Youngsville, NY and during that time he also served on the Board of Directors of NOFA-NY. Prior to farming Wes was an Acting Director of Field Programs for the National Audubon Society Expedition Institute (AEI), a fully accredited, traveling undergraduate and graduate environmental studies program at Lesley University. Wes spent ten years working as a Park Ranger for the National Park Service at the Upper Delaware Scenic and Recreational River where he lead the canoe training for incoming Park Rangers, lead interpretive history and natural history programs, and did canoe patrols along the river. For two years he was a wildlife technician for the New York State Department of Environmental Conservation’s 3 offices in New Paltz, NY. 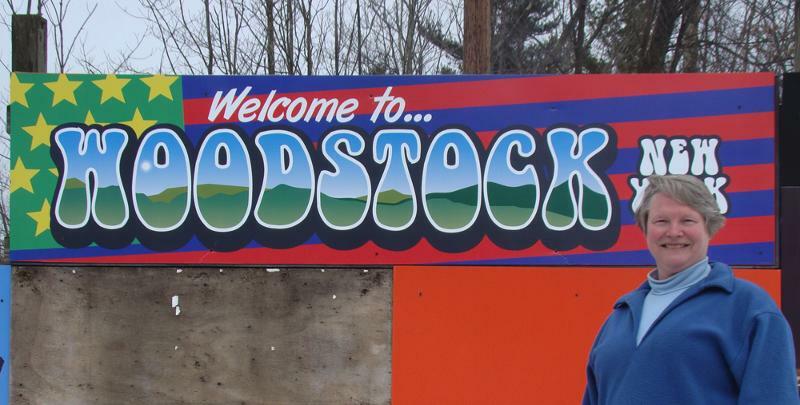 Wes and Amy are raising their two children on land in the Catskills that has been in his family for 55 years along with their Scottish Highland Cattle, Icelandic and Scottish Blackface Sheep. 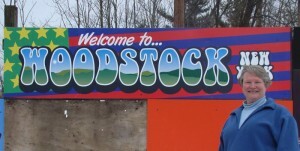 Kathleen Nolan is Regional Director for the High Peaks at the Woodstock, NY office of Catskill Mountainkeeper. Dr. Nolan was born in Kansas and raised in a rural area of middle Tennessee. She majored in philosophy and theology at Saint Louis University and graduated with honors, going on to pursue her Medical Degree, along with a Masters of Studies in Law, from Yale. Following a residency in pediatrics and fellowship training in clinical research design, she worked at the Hastings Center, writing and teaching on diverse topics in bioethics. She came to the Catskills in 1989 to pursue residential training at a Zen Buddhist monastery and in 2003 she became Executive Director of Tibet Aid in Woodstock. In 2009 she founded Catskills Live! Trails and Wilderness Association. Dr. Nolan serves on the Ulster County Tourism Advisory Board, the Ulster County Trails Advisory Committee, and as an officer for the Catskill Heritage Alliance and the Ashokan-Pepacton Watershed Chapter of Trout Unlimited. Dr. Nolan lives near the stream in Shandaken, where she can watch eagles ride currents up the mountains. Jennifer Edwards is the Development Director for Catskill Mountainkeeper, cultivating support for our mission and related programs by writing grants, planning events and fundraising. Jennifer has successfully strengthened and expanded organizations in both the for-profit and non-profit sectors, and is a published researcher, author and photographer. Prior to working for Mountainkeeper, Jennifer was an independent grant-writer and consultant for several non-profit organizations including Bethel Woods Center for the Arts, Bethel, NY, and the Museum of Arts & Design, New York City. Jennifer earned her B.A. from the Rhode Island School of Design in Providence, where she studied industrial design, fiber arts and photography. She works out of our main office, in Youngsville, NY, near where she lives with her husband, Joel, and two children. When she’s not advocating for the Catskills, you’ll find her in the garden, traveling the thrift store circuit, or working on her old farmhouse. Elizabeth (Betta) Broad is the Energy & Climate Program Manager for Catskill Mountainkeeper where her two main projects are the Community Fracking Defense Project and Renewable NY. A native New Yorker and longtime activist for social justice and sustainability, she has worked in the labor movement, as a grassroots organizer for fair trade, represented a youth-led peace organization at the United Nations, and fought for the repeal of the Rockefeller Drug Laws. After managing a Brooklyn community arts space and organic cafe, Betta began producing concerts designed to foster positive social change. She then worked as the Deputy Director of Earth Day New York for five years, organizing the major Earth Day festivals in NYC. Betta graduated Phi Beta Kappa from Fairfield University, majoring in political science and is a candidate for a M.A. from the Graduate Program in International Affairs at the New School. She serves on the board of directors of Brooklyn for Peace and lived in Brooklyn for the last decade. Constantly traveling across New York, often to the Southern Tier, she recently moved to Kingston to be closer to the Catskills. As an organizer, Betta works with many committed advocates around the state and is delighted to share some of their stories in the interactive media project, Love NY: Don’t Frack It Up! Beth Scullion is the Office Manager for Catskill Mountainkeeper and is responsible for overseeing the organizations’ three regional offices. As a life-long resident of the Catskills, Beth attended both Sullivan County Community College and SUNY New Paltz, where she majored in early education with a concentration in history. She began working at Mountainkeeper in 2007, one year after its founding, after working several years in the commercial insurance industry. Beth enjoys many of the activities the Catskills has to offer with her husband and two daughters. 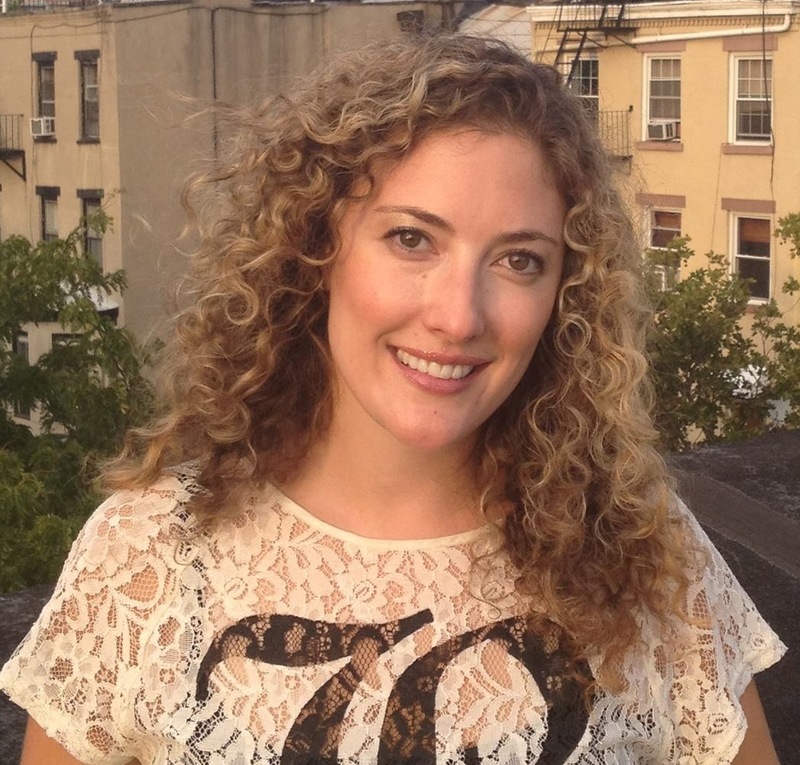 Erin Burch is Outreach Coordinator for Catskill Mountainkeeper. Erin was born and raised in eastern Connecticut and currently resides in Woodbourne, NY. In 2012 she earned her B.A. in Environmental Studies with a concentration in Environmental Education and Communications from Green Mountain College and immediately joined Catskill Mountainkeeper’s team. In 2011, Erin was 1 of 100 grant recipients for the Morris K. Udall Award. This scholarship is given to students who have demonstrated commitment to careers related to the environment. 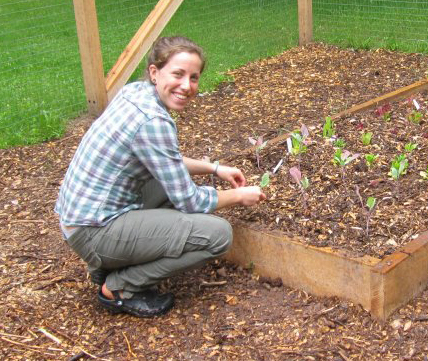 Erin has had experience as an Environmental Educator at Genesee County Parks and Recreation Interpretive Nature Center and is certified to instruct numerous environmental education curriculums including Project WET, Project Learning Tree, The Aldo Leopold Education Foundation, and more. When Erin is not busy at work she loves to work-out, play soccer, and play the piano. She and her girlfriend raise chickens and love to grow their own food. They one day hope to have a farm of their own.